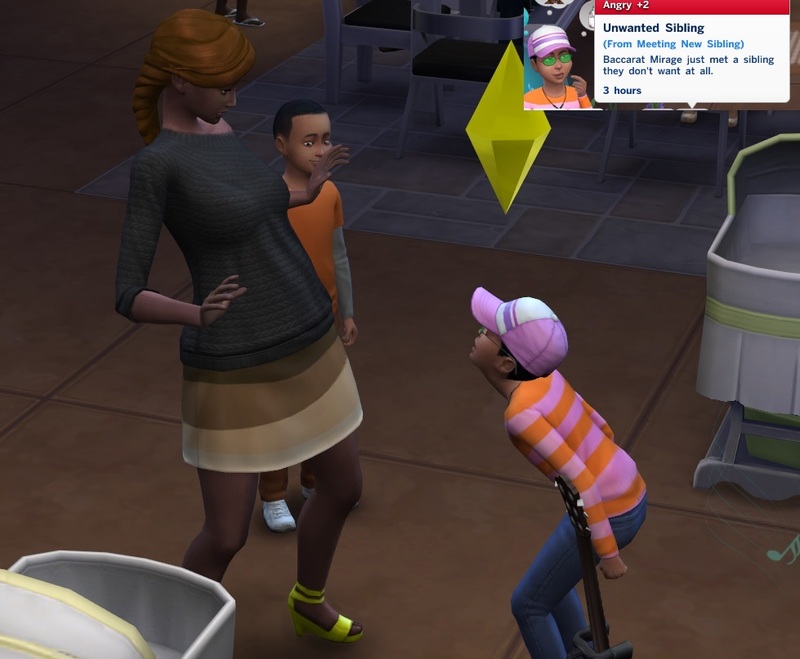 Sims 4 Legacy Challenge – And Stay Dead! Looks like I got hit by a bug and Parcheesi won’t be coming back from the afterlife after all. None of her paintings are recognised either, nor are any of Gordon’s. It’s like they never existed! So the kids can’t mourn their mom, and no family ghostie for me – at least not for the founder. Bummer. In other news, insane Baccarat (the heir for Gen 3) wasn’t too happy about having siblings, though he has since come to terms with it. He only occasionally plots to murder them both. That’s him below, yelling at Elise for not smothering Poker and Canasta in their cribs. Now I’m waiting to make enough money to do a major overhaul on the lot, which I’m sure won’t be cheap. On the bright side, the garden Gordon started is actually starting to bring in some money now. There’s a weird bug with the price of some of the plants where the value of the ones in inventory increases every time I move a fruit or veg to the fridge, and equal-quality produce can apparently be worth anything from 1 to 200 Simoleons, but I just keep the cheap ones and sell the expensive ones – they taste the same, after all. I should be trying out the EQ2 expansion beta and logging in to WoW, but I just haven’t had the energy lately. The Sims is about as complicated as I can take right now – and I guess running multiple Sims wasn’t as hard as I feared after all. 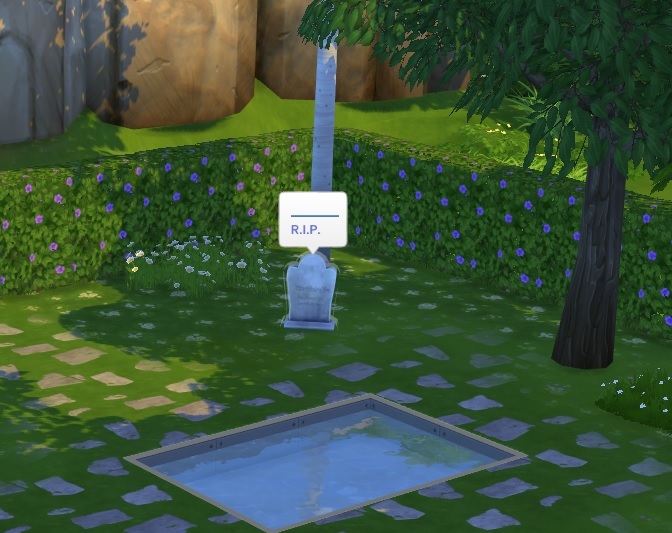 Sims 4 Legacy Challenge – And (Don't) Stay Dead! It is so nice to have you back posting regularly. I even spotted you on Icecrown!